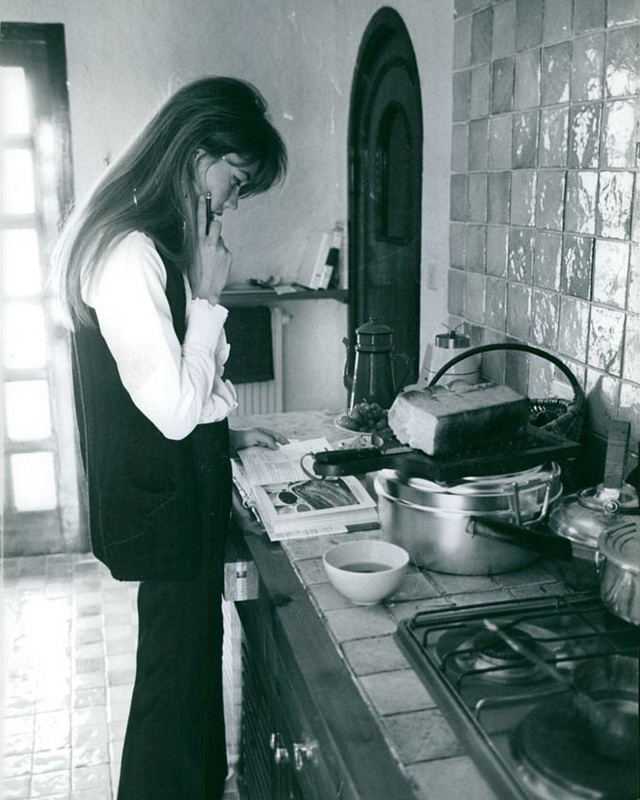 Françoise Hardy browsing a cook book. Image found via Pinterest. Cook your own meals, and you get better and more wholesome food. Added to this, the love and energy you put into making food, will remain in the end result. I think teaching a child to cook for themselves is one of the best gifts you can give them. It is nice to order take-out every once in awhile, but at least in my family, when we have eaten out a lot, everyone has the same wish for dinner: just something simple and fresh, just something home-cooked. I grew up in a house where food was cooked out of raw ingredients every day, then, after moving on my own, spent some years relying more or less on sandwiches, smoothies and restaurants. Until I made a deal with myself to learn to cook my own meals again. Cooking is an art that you practice but even more, it is a habit. Everyone can wash vegetables and fruit and chop them. Everyone can boil an egg or make a soup. Even the simple sandwich or toast you could buy to-go on your way to work tastes so much better and contains better ingredients when you make it yourself. You also get kicks from finding something to eat although you do not have a perfect selection of ingredients available. A frittata, for example, makes me feel like a winner every time. Turning almost nothing into something is a wonderful feeling. If I ever lose my willing to take the time and energy to cook, I turn to my cooking guru Alice Waters, who reminds me of the essentials. I think everyone should read her book The Art of Simple Food.